Shohei Ohtani’s rookie season is likely over. 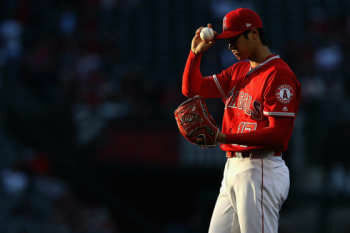 ESPN’s Pedro Gomez reported early Monday morning the Los Angeles Angels expect Ohtani to undergo Tommy John surgery and miss the remainder of the 2018 season and the entire 2019 season. Ohtani, 23, was diagnosed with a Grade 2 sprain of his UCL last week. He underwent platelet-rich plasma and stem cell injections to hopefully repair the damage, with the plan of reevaluating his status in three weeks. “We’re hopeful that he can, that it is completely treatable with the biologic prescription the doctors recommended,” Angels general manager Billy Eppler told reporters. As one of the most touted Japanese players in history, Ohtani has fit the bill during his rookie season. He is 4-1 with a 3.10 ERA and 1.14 WHIP, striking out 61 batters in 49.1 innings. Also serving as a designated hitter on some off days, Ohtani has slashed .289/.372/.535 with six home runs and 20 RBI. The Angels will hope to follow Garrett Richards’ blueprint, as he avoided Tommy John in 2016 by receiving stem cell treatment. Ohtani also had a platelet-rich plasma injection on his right pitching elbow in October.